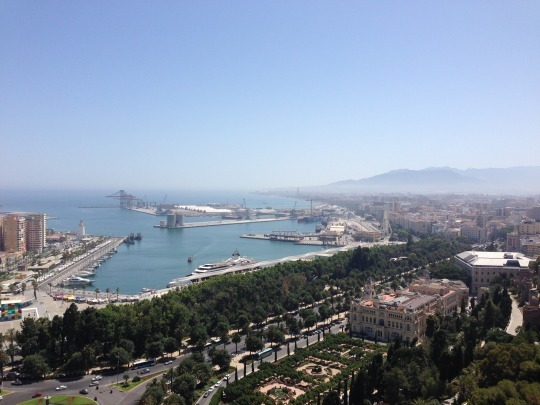 Nowhere can the Morish heritage of Malaga be seen as clearly as in the Alcazaba, the old palace on a hill at the east side of the city. The ornate palace is filled with little pathways, palm trees, and water features. 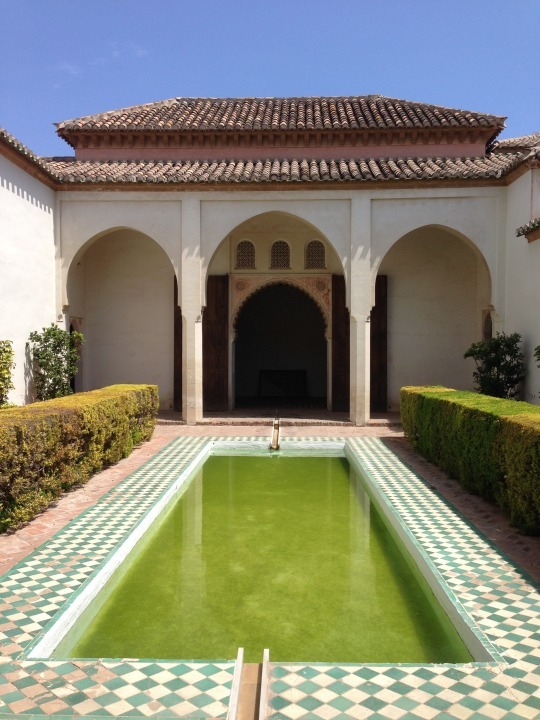 Wandering around here, it is easy to imagine how it must have been to live in Malaga during the 11th century. Even higher up than the Alcazaba lies the Castillo de Gibralfaro, originally a fortress but later converted to a castle. It’s a steep climb to the Castillo, but well worth the effort. From up there you have an amazing view over the city. The new, modern harbor offers a stark contrast to the architecture of the historic city center. Although very different, it is no less impressive and beautiful. The harbor offers a feel of hip elegance, with a wide promenade lined with shops, bars, and restaurants. Between the city and the harbor lies a botanical garden, a great place to find some shade among the wide variety of plants, ponds, and statues. 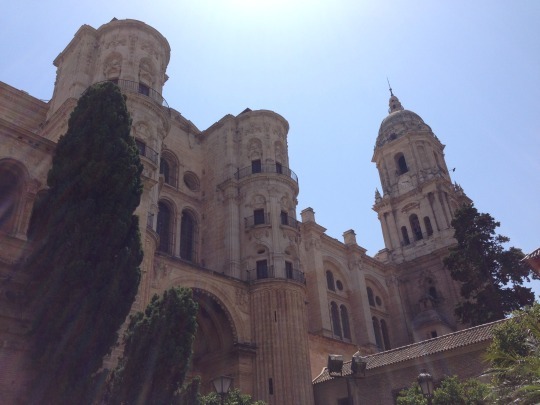 The Cathedral in Malaga is lovingly called La Manquito, for its missing left tower. The citizens are so used to the sight of the unfinished that they even successfully protested plans to finish the building of the cathedral. As striking an stunning as the outside of the cathedral is, it is equally impressive on the inside, filled with decadent art and architecture. Picasso is mostly associated with Paris and Madrid, but he was actually born in Malaga. Here you can visit both the house he was born in as well as a museum dedicated to his art and expositions by modern artists. It is not a large museum but offers a nice range of Picasso’s art.